The multi-talented singer is known for his great on stage performance. He is currently working on his thrid studio album. There are no details yet when Bruno Mars and his band the Hooligans will release the new album. On Jan. 10 Mars tweeted that he is obsessed to make an album he is genuinely proud of. 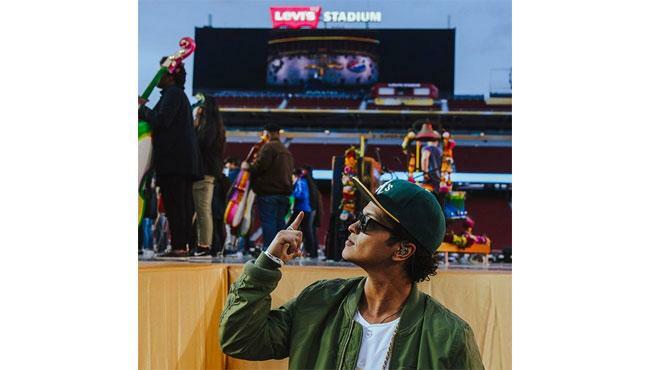 Bruno Mars might use the Super Bowl 50 Halftime Show to make an announcement about his new album. Besides Bruno Mars it is expected that Beyonce will join Coldplay for the Super Bowl 50 Halftime Show. Officially confirmed is the participation of the Youth Orchestra Los Angeles (YOLA), led by Los Angeles Philharmonic's Music & Artistic Director Gustavo Dudamel. Super Bowl fans seem split on the choice of Coldplay as Super Bowl 50 Halftime act. The British band is known for its slow ballades, but they also have some great powerful tracks. The Halftime Show will be over before you know it. In 12 minutes Coldplay and their musical guests will burn off a firework of audio and visual moments. 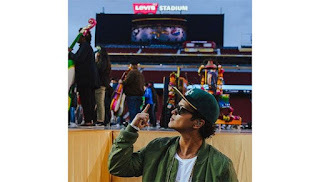 The stage of the Super Bowl 50 Halftime Show will be rolled onto the center of the field. It will be big and there will be fireworks despite it is daylight in California when the Halftime Show goes underway.